Do something good. Feel great. Be involved. That’s the mission of B’nai Tzedek – a program for young people that allows children and adolescents to establish endowment funds on behalf of non-profit organizations of their choice. Creating a B’nai Tzedek Fund has proven to be a meaningful gift and a popular way to commemorate milestone events. 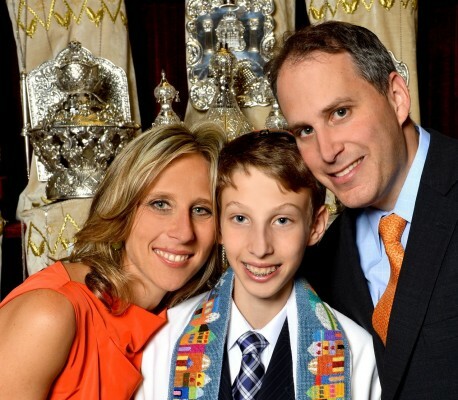 Many of these funds are created on the occasion of Bar/ Bat Mitzvahs or graduation. A minimum contribution of $250 creates a B’nai Tzedek Fund in the child’s name. Many children start their own funds with a portion of their Bar/Bat Mitzvah gifts and invite family and friends to contribute. The Jewish Community Foundation matches the initial donation (up to $750) for a minimum fund balance of $500. Each year, your child or grandchild may choose an organization to donate 5% of the fund’s balance to any Canadian charity of their choice. As the child grows, so will the fund-through interest earnings and new donations from special events such as graduations, engagements, weddings etc. Making a contribution to your child’s or grandchild’s B’nai Tzedek Fund is an excellent way to commemorate a special occasion. By giving teens the opportunity to be philanthropists, you place into their hands the most valuable gift of all: you teach them how to give. Create a B’nai Tzedek Fund in your child’s or grandchild’s name and get them started on a lifetime of Tzedakah.